Looking for an easy, effective way to reach kids in your community? Through a MEGA Sports Camp outreach, churches find they have up to 90 percent guests, many who do not regularly attend church anywhere. Elementary kids sign up to practice sports skills and then discover how epic moments in sports and in life can draw them closer to God. 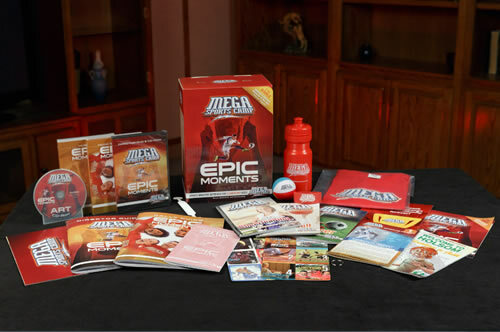 The flexible starter kit offers resources for 15 hours of sports training, small groups, and children’s church-style activities. Most churches choose a VBS-like schedule, but others host their camp on days off school, summer Sunday school, or even as a back-to-school weekend. A MEGA Sports Camp outreach helps volunteers intentionally build relationships with kids, which often results in a life-changing opportunity to pray together during the salvation message on Day 4. Choose as few or as many sports as you wish! 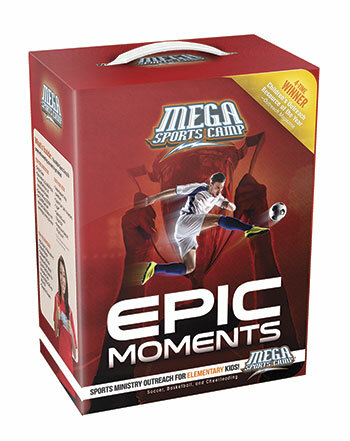 The starter kit includes playbooks for soccer, basketball, and cheerleading as well as a director guide with DVD and CD-ROM; a rally guide for large group gatherings; a coach huddle guide for small group time; an art CD-ROM; music DVD and CD; product samples; and more. Grades 1 to 6. Uses the NIV.